The Numerology Personality Profile—a ground-breaking, easy to read and highly accurate numerology report all about you—lets you discover the answers to these life-altering questions. Created by Matthew Oliver Goodwin, MIT graduate and renown author of "Numerology: The Complete Guide," the Numerology Personality Profile uses research-validated techniques that penetrate to the core of your being to reveal your innermost strengths, weaknesses, deep inner needs and emotions. His Numerology Personality Profile indicated an intense love for people and an aptitude for communication. These skills were emphasized; the analytic side of his character was just mentioned in passing. David’s story is not that unusual. We all have aspects of our self that are hidden from our view. Only when you recognize the richness of your complete personality can you attain the peace, success and fulfillment you desire. Besides revealing the real you, the Numerology Personality Profile can also provide a profound way to better understand one of the most important people in your life, your romantic partner. You’ll be able to see what motivates them, why they do things the way they do, what their basic needs are. With this new understanding will come deeper appreciation and respect. Whether you use the Numerology Personality Profile to examine your life, take advantage of unexplored opportunities, confirm talents that in your heart you know are there, or simply figure out where to go next, it is a highly effective tool to help you better understand and empower yourself. 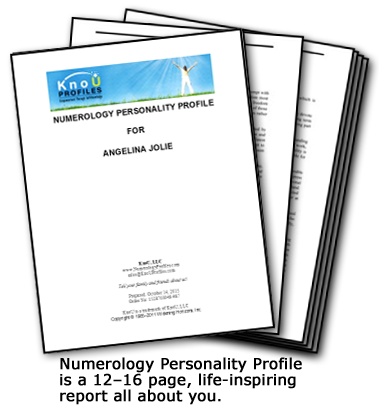 To get this special offer of the Numerology Personality Profile for yourself and loved ones, simply click on the button below and discover how easy it is to live more satisfying and fulfilling lives. And when you act today, you’ll get 2 FREE Special Reports worth $94 that will further enrich your life and relationships. Using a combination of modern numerology and practical psychology, the Numerology Personality Profile reveals the meaning of the letters and numbers associated with your name and birth date—in surprisingly helpful ways. 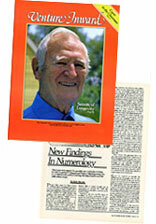 Goodwin devised an advanced integrated system, similar to what a professional numerologist does in a personal reading, resulting in reports of unusually high quality and accuracy. In fact, the Association for Research and Enlightenment, the largest metaphysical organization in the U.S., conducted an extensive research project using the Numerology Personality Profile. Get 2 FREE Special Reports Worth $94—Filled With Priceless Wisdoms—Plus 2 Surprise Bonuses When You Order Your Numerology Personality Profile Today! When you order the Numerology Personality Profile today you’ll get 2 free indepth reports, “Opening The Mind, Igniting The Heart” and “10 Winning Strategies for Loving, Successful Relationships” by Cheryl A. Malakoff, Ph.D., a psychologist and teacher with 25 years experience helping others to realize their true potential. Find Out Now What Your Name Reveals About You. Guaranteed Satisfaction—Over 1 Million People Have Already Discovered It Works! KnoU Profiles are powerful, highly effective tools for self-discovery and personal growth. Based on the letters and numbers associated with your name and birthdate, they can help you to better understand your strengths, weaknesses, deep inner needs and emotions.